Many people think that universal design is only necessary for households that include elderly and disabled occupants. On the contrary — universal design accommodates every user, regardless of age and physical capabilities! So if you’re thinking of remodeling a bathroom, we suggest that you consider incorporating universal design. While it’s true these features are intended to accommodate those with physical limitations, having a universal bathroom ensures the safety and convenience of everyone, whether it’s a child, an adult or a guest. If you’re worried that a universal bathroom might somehow look unattractive, this concern can be easily solved by working with an experienced and reliable team of remodelers. The features listed above can be combined with the latest bathroom design trends to make for a stylish yet universally accommodating bathroom. Universal design can still be beautiful design! 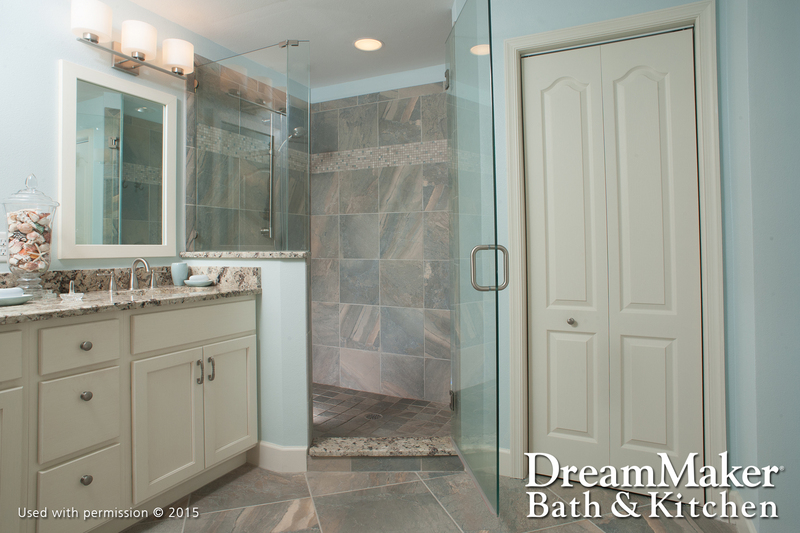 Get in touch with DreamMaker Bath & Kitchen of Union Grove today to schedule your free consultation. We’ll take this opportunity to discuss the details of your planned bathroom remodel, including the bathroom renovation cost and materials to use, among others. Call us at (262) 923-8721 and let us get to work on a stylish universal bathroom design made especially for you!